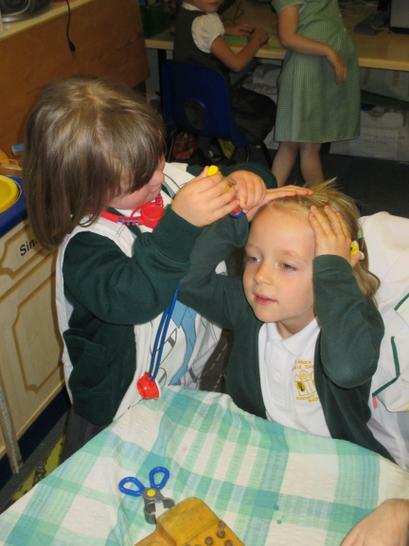 We were so lucky to have a Doctor come and visit our Reception classes. 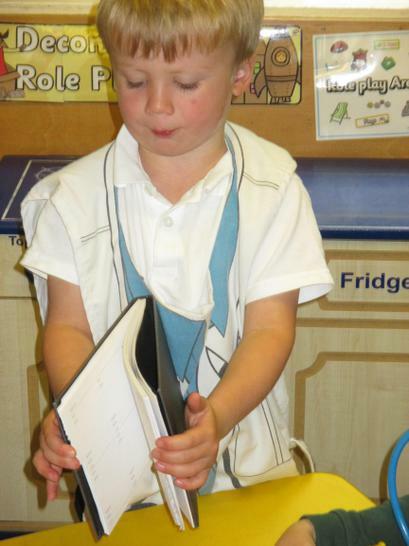 We were taught all about the different parts of our bodies and how we can keep our bodies fit and healthy. 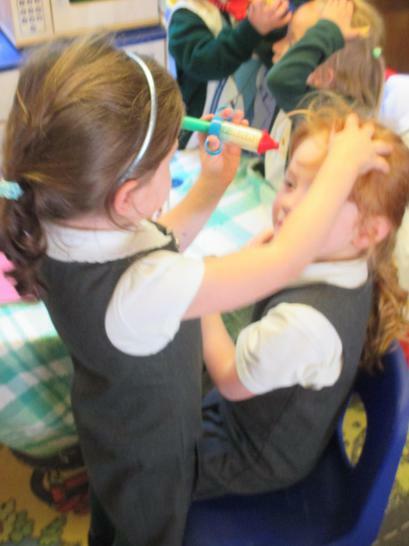 The children loved finding out about all the special instruments that are used to check our bodies are healthy. 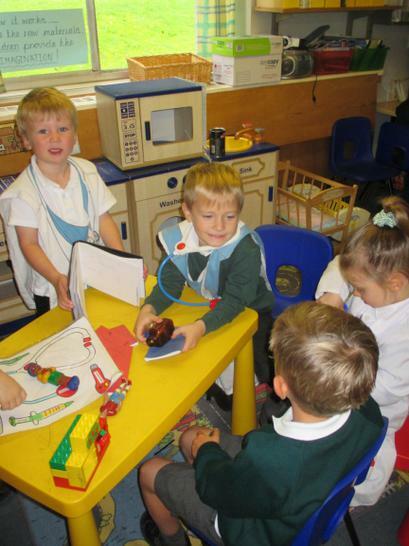 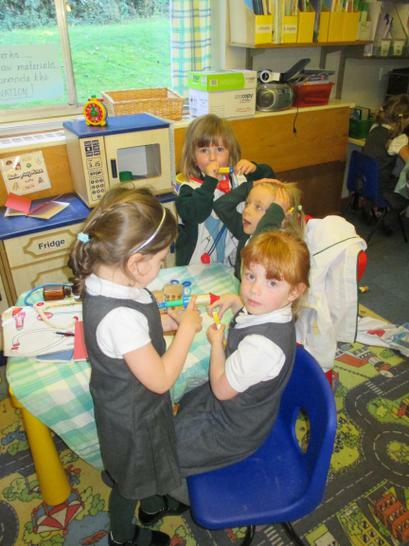 The children have since been loving our doctor's surgery role play area. 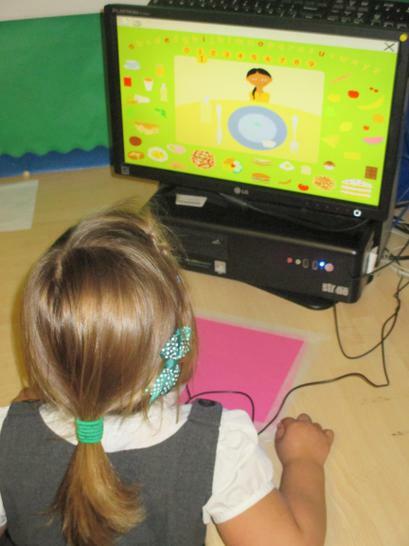 They have also been sorting healthy food on the computer game, simple city.